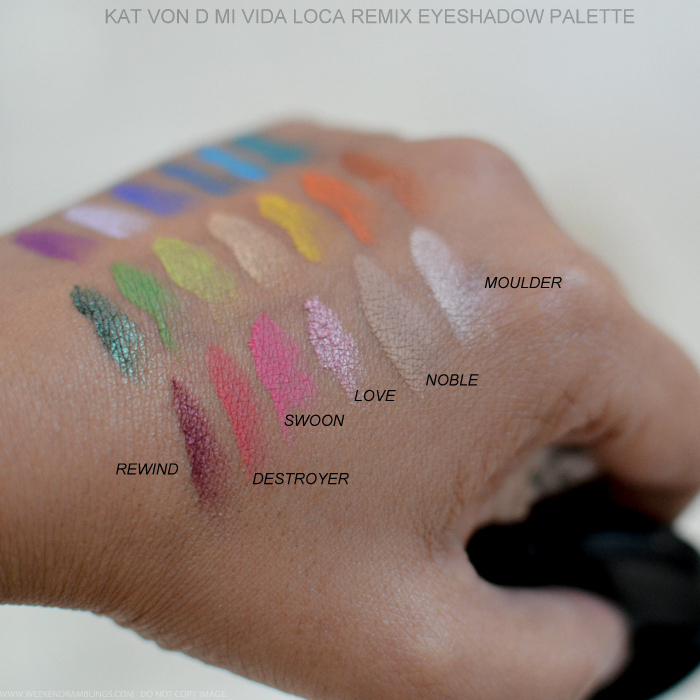 The Kat Von D Mi Vida Loca Remix palette was a limited edition release, and I swatched it at my local Sephora a month or so back and promptly forgot all about posting it. The palette seems to be sold out now on Sephora, but it is available on Amazon and with quite a few other online sellers, and the colors and quality of this palette is so good, I just had to share the swatches here. 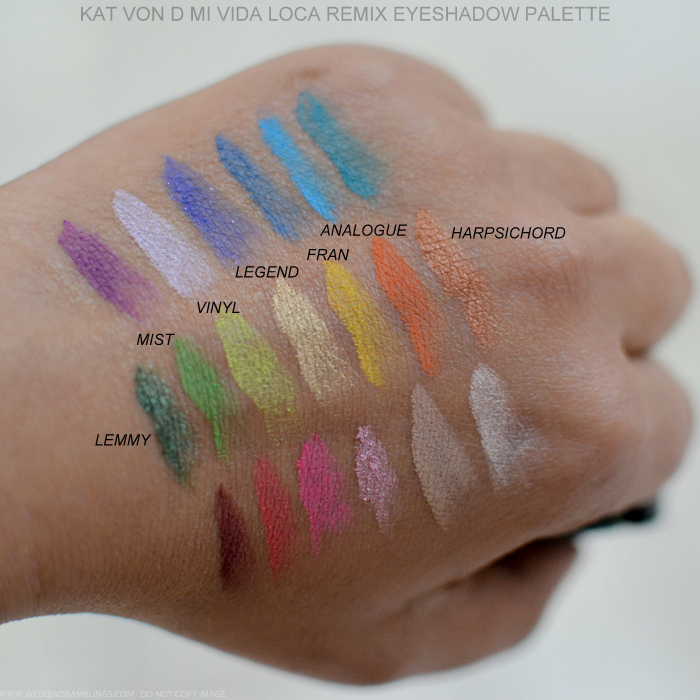 The Mi Vida Loca Remix palette has shadows arranged in two circles - the inner circle consisting of neutrals while the outer circle has vibrant bright colors. There is a nice mix of matte and satin though nothing too shimmery or glittery, and the pigmentation and formula feels amazing. Scroll on for swatches. 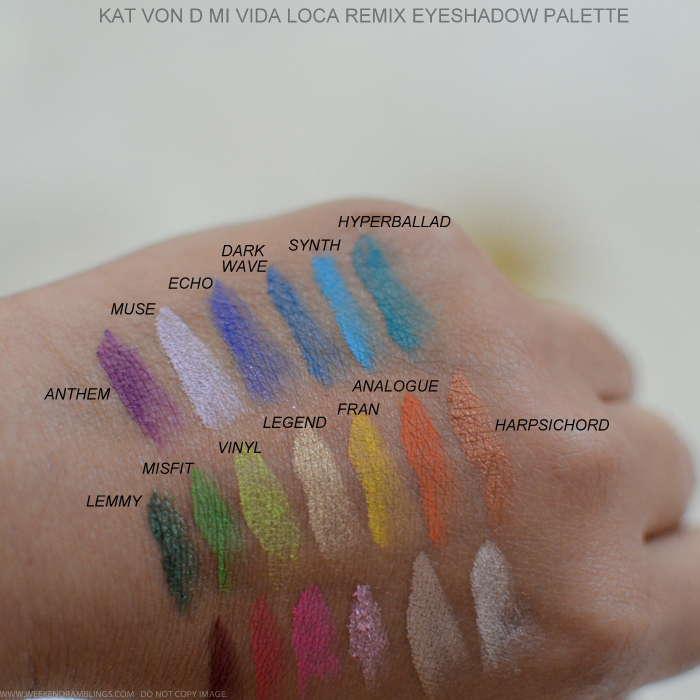 Overall, the Kat Von D Mi Vida Loca Remix palette is definitely a good buy - obviously, since it sold out so fast on Sephora - with a balanced mix of neutrals and brights and everything in between. While I don't ever reach for bright eyeshadows, I do think the shadows in this palette are much better than the average chalky matte shadows, and blended with neutrals, most shadows in this palette can be used even for everyday, simpler makeup looks. 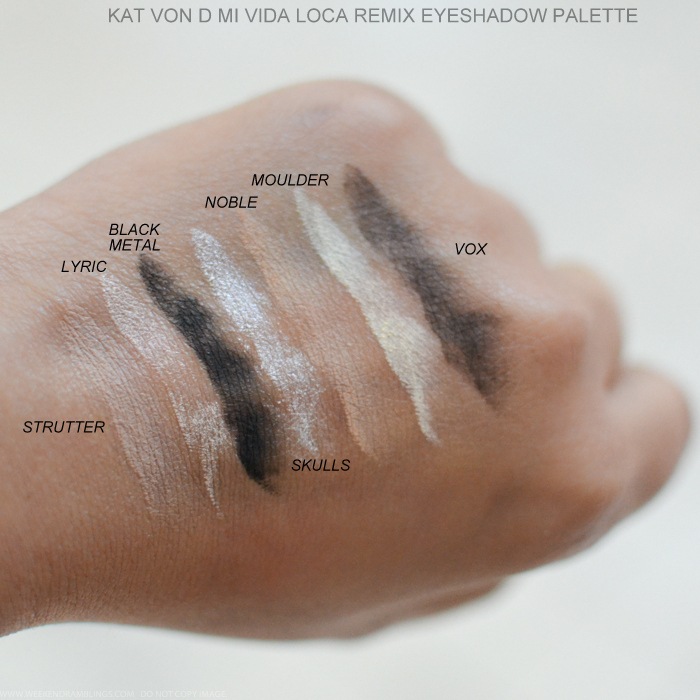 A few of the shades are a bit lighter on the pigmentation, but nothing I would label as awful, and for the most part the eyeshadows are all quite good. 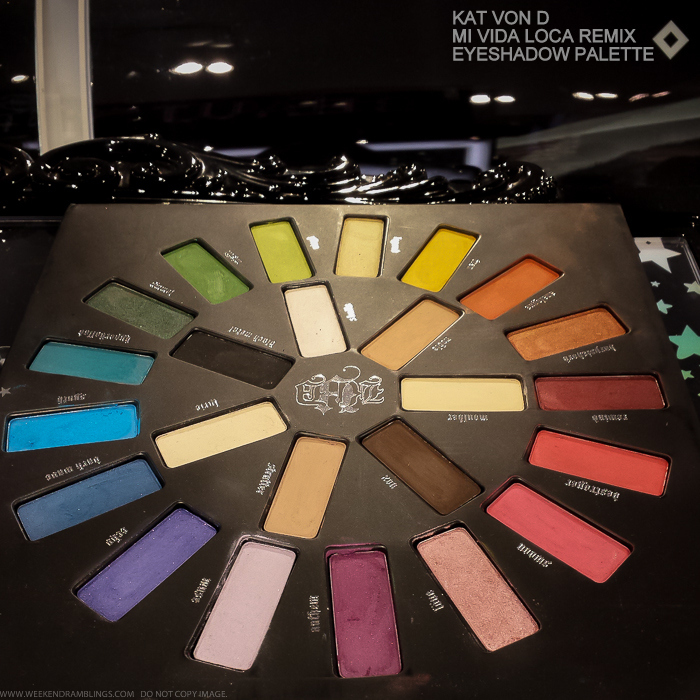 The only issue with this palette would be cross-contamination between colors, and a little extra care would be needed while picking up colors. Do give this palette a try - if you can lay your hands on one - especially if you love a pop of color in your eye makeup routine.